If you don't agree, you're a clod. 1. 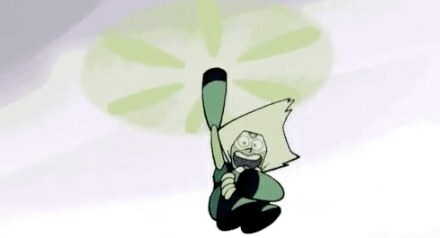 When she laughed maniacally while escaping the Crystal Gems. 2. When she attacked Steven in the bubble room. "You're like an angry little slice of pie!" "Have fun trying to talk to me when I'm in a BUBBLE!" 4. ... and then tried an unconventional escape route. 5. 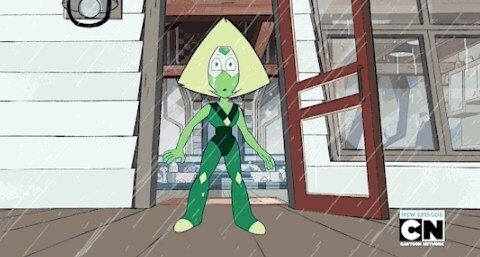 When she experienced rain for the first time. 6. When she explained what the cluster is with diagrams. "I have conceded to reveal some important information to you Crystal Gems." 7. When she got attached to a leash in the yard. "Victory is mine! Now I'M the one in charge!" 9. 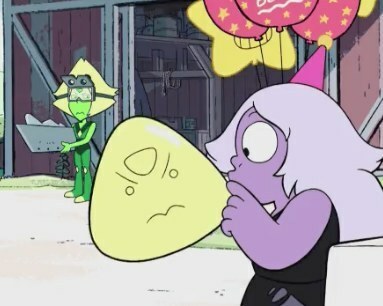 ... and was so not amused by Amethyst's balloons. 10. When she sang about peace and love on the planet Earth. 11. 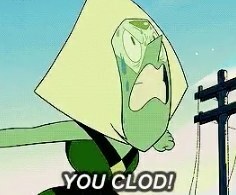 When she called Yellow Diamond a "clod." "So am I going to have to wear a star? WHERE AM I GOING TO PUT THE STAR!?" 13. ... and then experienced a mental breakdown. 14. When she tested whether or not humans can fly. 15. When she tried on on some silky "appearance modifiers." 16. When she tried to explain the nuances of Camp Pining Hearts. 17. 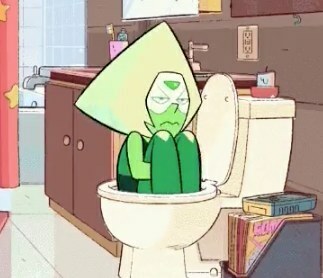 When she tried to appease Lapis with a "smaller than average lake." 18. When she attempted to understand human jokes. 19. When she attempted to fuse with Garnet. 20. And when she and Steven shared this tender moment. Come back soon, Steven Universe — we need to know what happens next!